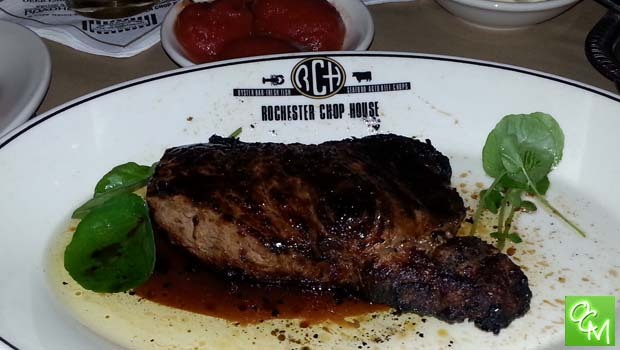 Zip Sauce Recipe for Steak – Inspired by the Rochester Chop House, Detroit and Andiamos. Zip Sauce recipe ingredients include – crushed dried rosemary, dry thyme leaf, garlic powder, minced parsley, butter, salt, coarse black pepper, Worcestershire sauce, ground cumin, cayenne pepper. Combine the first 4 ingredients and stir into the butter that has been melted in a saucepan. Then add everything else and warm gently a minute or so. Do not overcook it. Refrigerate in a tightly capped container and be sure to use it within a few weeks. To use – prepare sauce by stirring about 1/4 c. of this sauce into about 1/4 c. of the steak drippings. (makes about 2/3 cup).